Defining the Basics: Report Type, Dimension, Trigger, Connection Profile, etc. 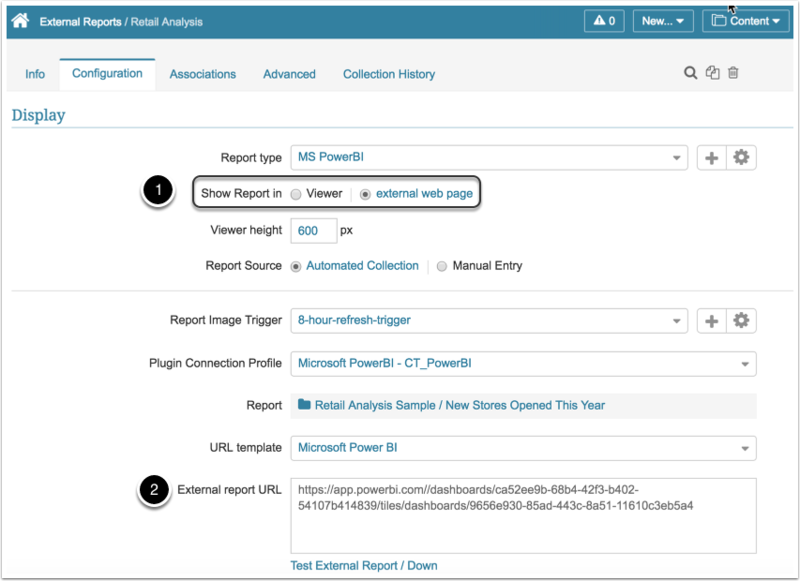 Access New > External Report > Microsoft PowerBI. Report Type: The report type selected determines general settings for the External Report. Settings include image source, download option, drill down authentication, etc. Select the default MS PowerBI option from the list or create a new one by clicking the [+] button. For more details, please see Create a new External Report Type. 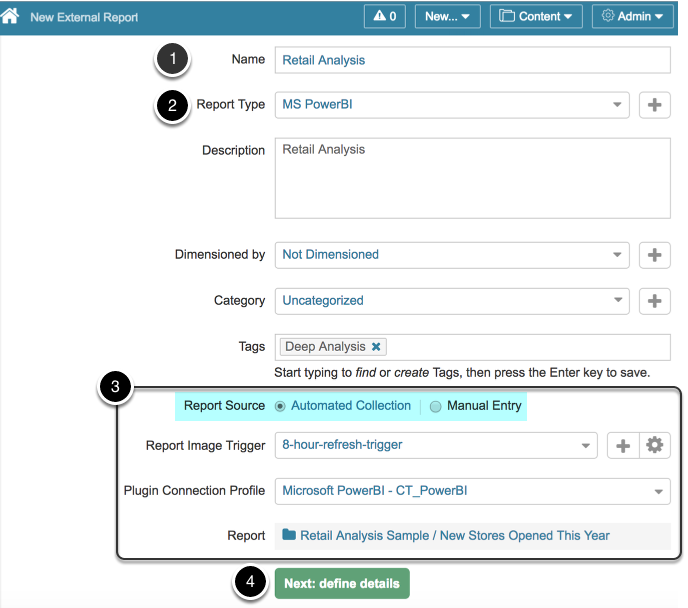 Click Next: define details to proceed with External Report creation. 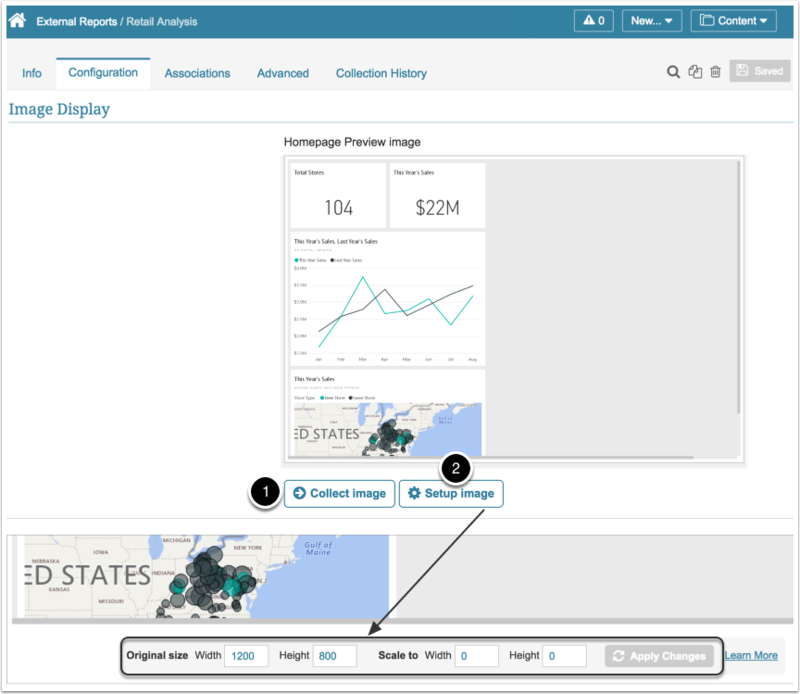 Viewer: You can choose to show the PowerBI object directly in the Metric Insights Viewer (iframe or static image), or display directly in PowerBI in an external web page. Click Save and Collect Image.